On Friday 18th of June 2010 an amazing promotion at romanofirenze.com starts! Don’t miss this unique opportunity to get the predated sales! 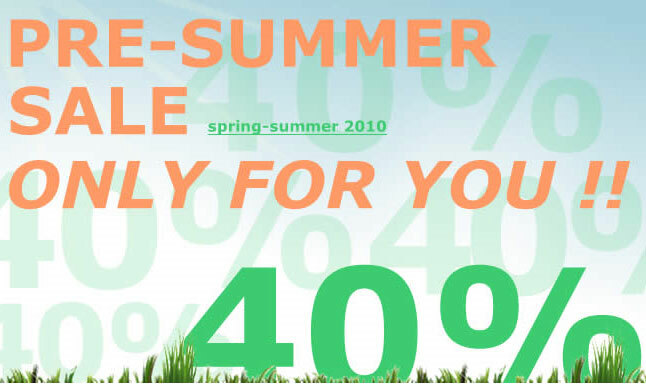 If you sign up for our newsletter you will recieve an email with a promotional code that will entitle you the 40% discount for online purchases. If you have not signed up yet, it’s the right time to sign up for our newsletter in order to enjoy all advantages!